WF Parking is the same great service our customers know and love from Maple Manor Park and Ride, but now under new management. Expect the same convenient and reliable parking facility, still only 5 minutes from the airport and still excellent value for money. Just as with Maple Manor, you don't even have to worry about hunting for a space, as the professional fully-insured drivers will handle that for you. Maple Manor Park and Ride was our most popular car park at Southampton, and we're confident that WF parking will live up to it's standards. We actually went to wrong long stay park and i feel that your map and navigational advice should be more prominent.as a result we paid £41 to the main car park and £27 to you ....though we didnt end up using it.if you refunded £27 as a goodwill gesture for our mistake we might change our opinion. on-line booking was straightforward, but map on website was not as clear as could have been and address was masked by advertising! it would have helped us find the parking place if there had been a sign on the main road (although this may be out of your hands). Unfortunately there was no one at the car park when we arrived so we had to hurriedly find alternative parking on the airport. The management later apologised and said that procedures were now in place to prevent a reoccurrence. Financial compensation was agreed with the duty manager (Mike Bailey) and approved by one of the directors (Joe Folland) but despite many phone calls spanning a number of weeks Iâ€m still, over a month later, waiting for the total agreed amount to be reimbursed. I strongly recommend that other potential customers think very carefully before using WF Parking. Having read the reviews it's clear that if everything is working well, then there isn't a problem. However, when things do go wrong they seem either unable or unwilling to rectify. Needless to say I won't be using WF Parking (Southampton) in the future. As I haven't been able to get resolution to my issue I've warned all my friends and family to avoid also. It's a really pity because every other time I've used Holiday Extras for airport parking over the years they have been superb. This incident has put me on my guard. 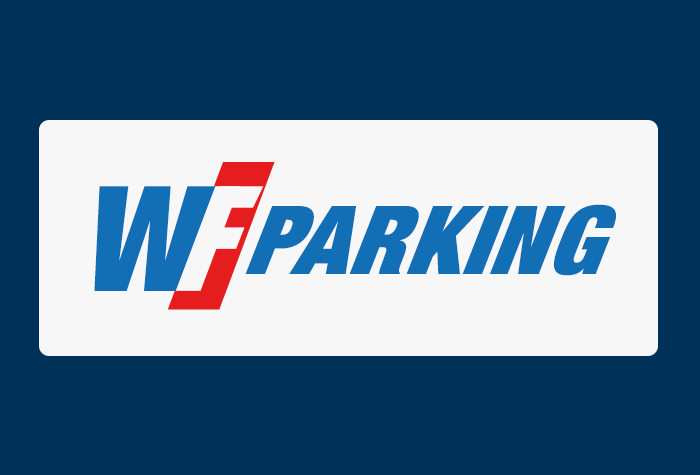 Our customers rated WF Parking on average 8/10 (133 reviews). Read WF Parking reviews. Simple, low-cost and just 2 miles from the airport, enjoy the complete package with WF Parking Park and Ride. We know that cost and convenience are two of the most important factors when it comes to choosing your airport parking, which is why our customers love WF Parking Park and Ride. Simply pull up at the car park, drop your keys and go - its that easy. With speedy transfers and no need to search for your own space, youll be on your way in no time. Its a simple process when you arrive. Just head to the entrance of the car park where a member of WF Parkings friendly team will be waiting to welcome you and show you inside. Pull into one of the arrival bays and the team will take your keys and park your car for you while you jump on the transfer bus to the airport. It runs when needed, takes 10-15 minutes and is included in the price. Your car will be treated to top-notch security while youre away. WF Parkings secured car park has CCTV in use, as well as double perimeter fencing and regular staff patrols, so you can relax knowing your car is in good hands while youre away. Its just as easy when you get back. The transfer bus runs regularly during the airports opening hours and can be picked up from the same place you got dropped off, so theres no risk of getting lost. Once youve been reunited with your car, simply grab your keys and head home - and thats it, it really is that simple. For a low-cost car park that doesnt compromise on speed or convenience, book Southamptons WF Parking Park and Ride today. If you are travelling to the airport and find you are going to be more than 30 minutes late on arrival, you'll need to call the car park on the number on your confirmation email. If you don't do this there may be a delay in taking you to the airport - this would be at your own risk. Hints, tips and extra bits: The car park is open from 8am - 11pm daily, with transfers running frequently during these times. To get to the terminal, just catch the bus from the car park. The bus runs when it's needed, takes just 10-15 minutes and is included in the price.